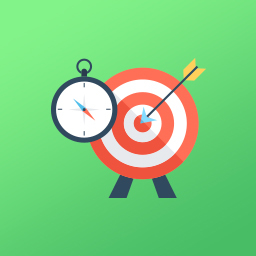 A tool to optimize task management. If you're looking for an app that reduces the complexity of managing teams and projects, this is it. This app is simple and intuitive, and it helps you stay in sync with your colleagues, organize tasks, and finish projects on time. Organize, track, and delegate to get things done faster. View details in real time. Use a color-coded dashboard to list tasks by priority. Visualize your progress and quickly move tasks through stages as they are completed at the click of a button. Get notifications about the progress of each task, via email, SMS or push notification. Use the built-in drag-and-drop feature to quickly move tasks to different priorities. Plan effectively with interactive timelines. View the progress of your work and streamline event planning with interactive timelines. Drag-and-drop events onto different dates on the calendar to have their priorities and notification preferences updated automatically. Review and approve digital documents. Gain feedback on your work in real-time by sharing documents with your peers, and being notified via SMS or email when they make comments on it. All our apps are fully customizable, right out of the box. 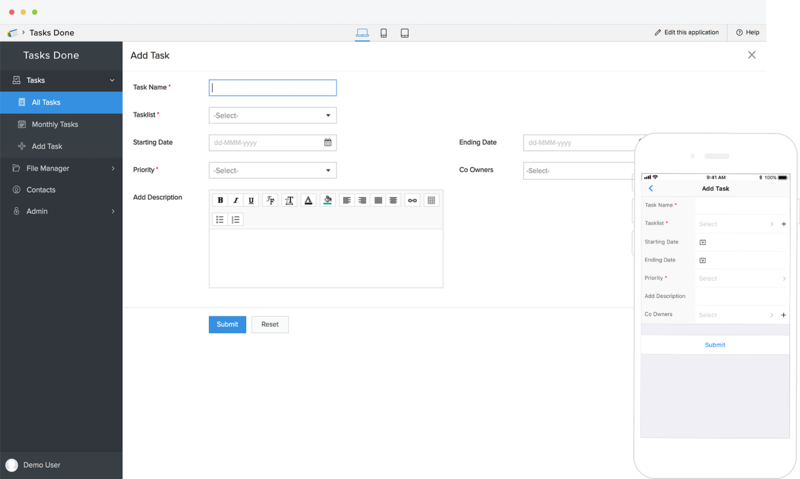 Coupled with the guided scripting feature, our drag-and-drop form builder allows you to add limitless functionality to your app. You can set up multi-stage approval workflows, customized notifications, and more. For every app you access on your computer, there's a fully optimized native one waiting for you on your smartphone. Enjoy all the features of your app on the go, on any device. Monitor task statuses, assign colleagues to follow up, or change priority levels, all from your mobile device. We're flexible. 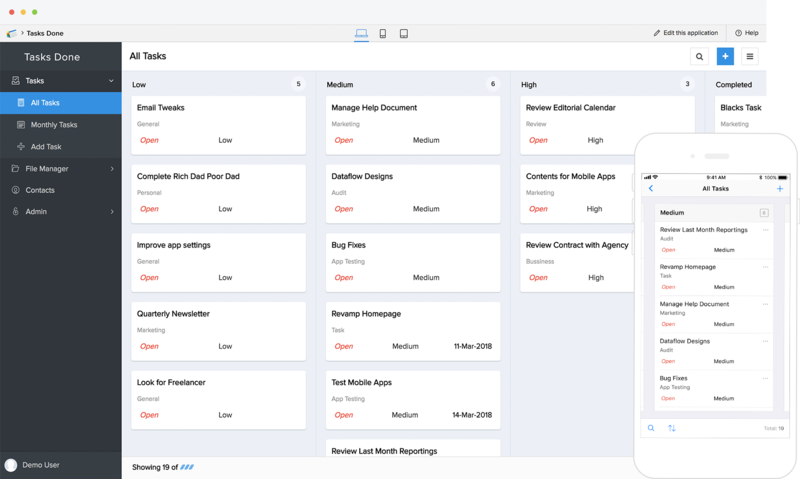 Zoho Creator features integrations with a host of major software solutions like Quickbooks, Zapier, and G Suite to ensure seamless connectivity between your productivity applications. You can also integrate with team management software like Slack and Basecamp.